There are a number of accommodations available within the State College area. 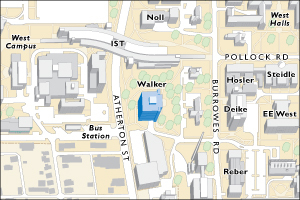 The hotels listed below are within walking distance to Walker Building, where the Department of Meteorology is housed. Please visit http://www.centralpacvb.org/visitors/hotels-lodging/ for a complete listing of hotels in the area.